The Northern Border needs a lot of work. Now that the irises are finished this border is changing into a hodgepodge. Despite my efforts tradescantia is invading the iris beds and other aggressive plants have taken a strong-hold as well. Roses and Peony ‘Pink Parfait’ was ruined by the heavy rains this year. Fortunately I cut four peony stems early to enjoy inside. In front of the peony a large planting of Nepeta ‘Walker’s Low’ (Catmint) bloomed very well during May. Now though it is flopping over and I have already cut part of it back. 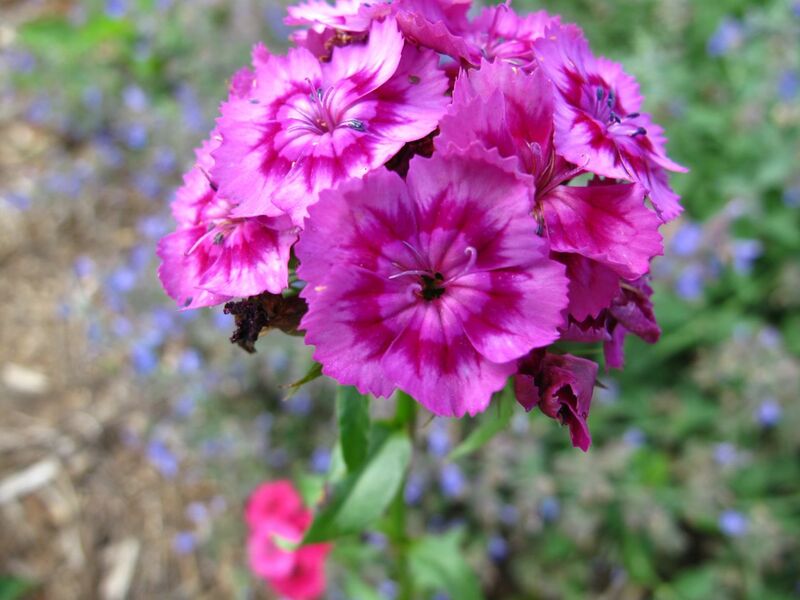 Nearby, a pass-along plant, Phlox divaricata (Woodland phlox), was very late to open, but it made a strong show eventually. 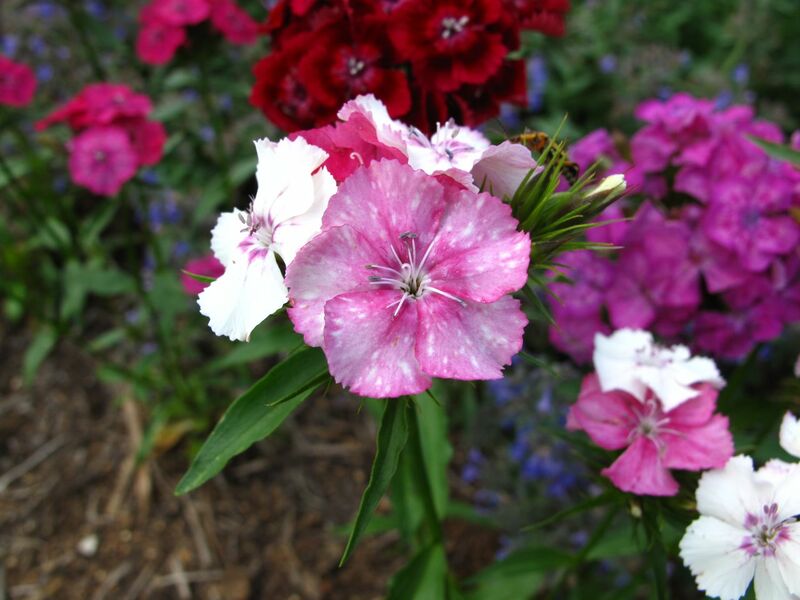 Old-fashioned Sweet William were planted in this border in early spring and they are blooming beautifully now. Echinacea purpurea (Purple Coneflower) is beginning to bloom in this northern border and throughout the garden. This border is where I need to focus immediate attention. 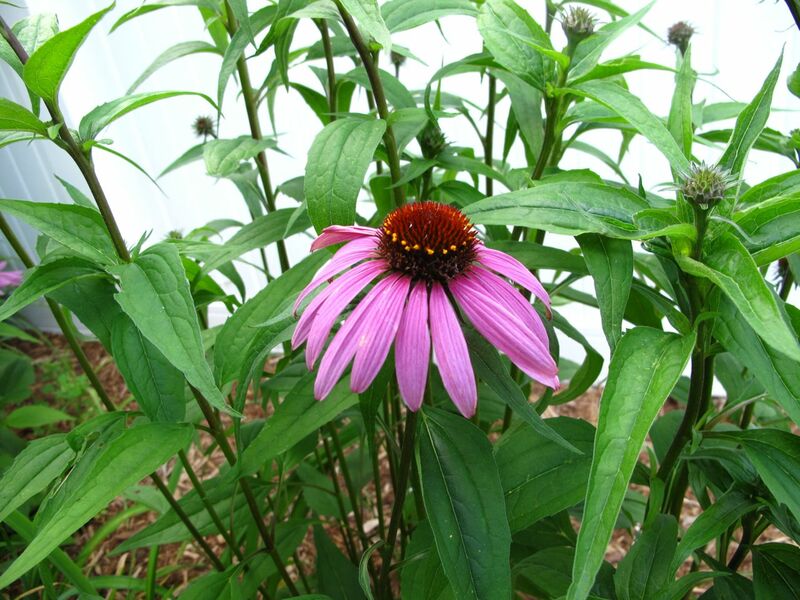 This entry was posted in garden and tagged echinacea purpurea, sweet william on May 31, 2013 by pbmgarden. 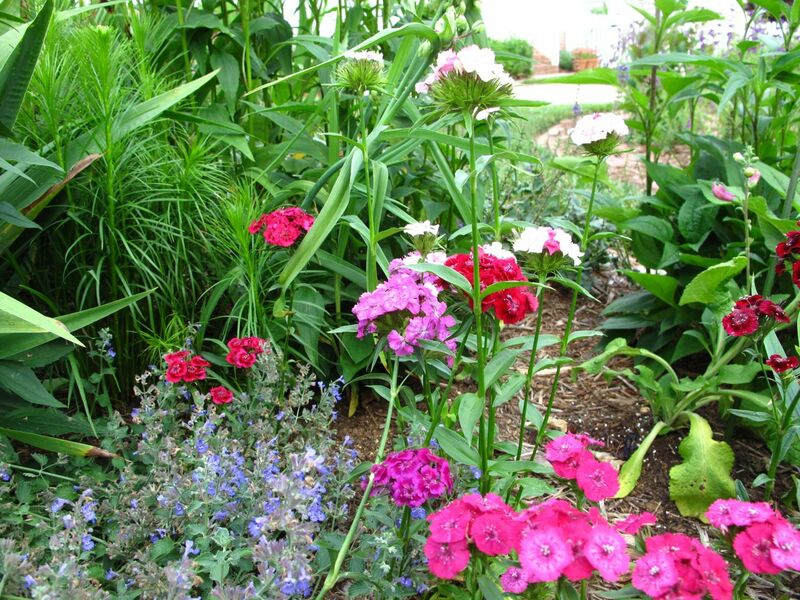 All your borders are looking good – seems the weather has suited most plants, if not the gardener! Lovely to see cone flowers already – I’m not sure mine will flower this year as the snails have had a feast in this damp weather! Thanks Cathy!. Hope the snails leave some coneflowers for you to enjoy. I really love the different cottage garden plants. 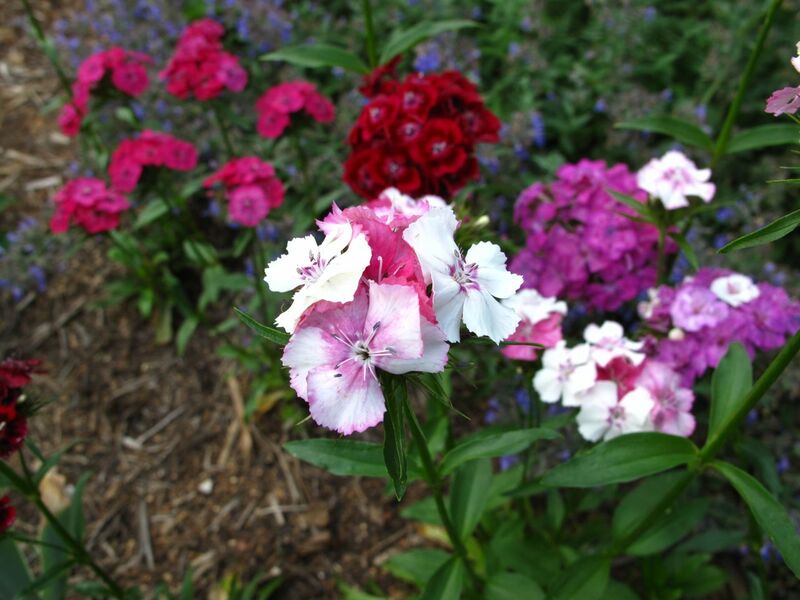 Love your Sweet William. This is the plant I miss. I used to grow them in a row but slugs kept eating them. How do you manage to keep them healthy? Thanks. This is one plant I have to keep adding back to my garden. As soon as the summer gets hot and dry they give up. Mail-ordered these this winter but if I would remember to plants seeds in the fall that would be best.